Mom bloggers are the most interesting people. They give you a glimpse into the exciting, satisfying and sometimes messy world of parenting. It is always nice to connect with other moms; women who can relate to what you are going through as far as motherhood is concerned. I have been discovering great mom blogs I never knew existed lately, and here’s what I have discovered so far in no particular order. 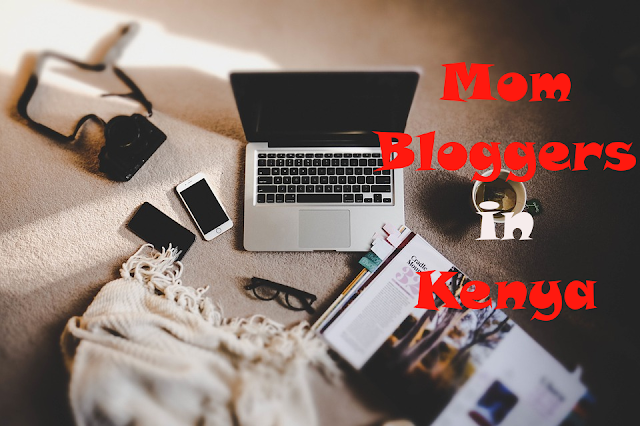 I’ll be updating this list of Mom Bloggers in Kenya periodically. I can use your help. If you notice that I have left out your favorite mom blog, or if you run one and it is not on this list, let me know in the comments section and I’ll include it. Modern Mom Kenya: This is a blog by yours truly. Started in 2015, Modern mom is a parenting blog that discusses motherhood, pregnancy, parenting as well as women and children health. Afro mum: This is a huge blog with contributions from a number of writers. Managed by Njeri Wanjohi and Olivia Kidula, Afro mum is a family blog that focuses on technology, lifestyle, entrepreneurship and parenting topics. Mummytales: If you love to read about real motherhood issues and mothers narrating about their hardships and parenting experiences, then you will love this blog. Maryanne Waweru started the blog back in 2011 while she was pregnant with her first child. She is now a mother of two. Joyce Mwangi: Joyce is the blogger behind www.hiscreation.co.ke. She writes about Christianity family and motherhood. Diary of The Kenyan Mom: This blog is just that; a diary of a Kenya mom. Mama Mzungu: This blog belongs to one Mama Caleb, an expat from the US working and living in Western Kenya. She is a mom of two. Mama Mgeni: Her name might be Mama Mgeni, but this mom now calls Nairobi home. She’s also originally from the US. Still A Mum: This is a blog that celebrates women who have dealt with a miscarriage, still birth and infant loss. Maureen Bandari: Maureen is a style and fashion blogger but since she became a mother, she’s been sharing candid motherhood stories with her followers. They're great Wangui, right. So much talent in our beautiful Country. Sure Felix. Maybe you should start them off. The first Kenyan Dad Blogger. The idea of Dad Blogger is a good one, take the challenge Felix i will support you. Remember the maendeleo ya wanaume (MYW) outfit which came to being long after Maendeleo ya Wanawake ? I know, right? He already has 2 followers. Adding it. Thank you for your comment.